Q1. Why you interest about his research? A1. Spectroscopy is the scientist’s primary tool to learn about the molecular world. Most things we know about molecules stems from spectroscopy or diffraction experiments. 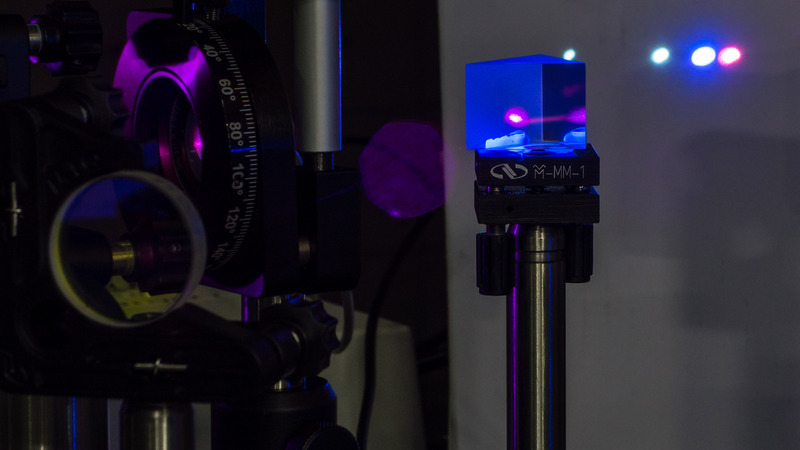 It is therefore quite exciting to develop a new spectroscopic tool that can ‘see’ new types of molecular matter that could never be observed before. Usually, separate spectroscopic experiments are necessary to identify all interesting properties of a molecule. With our new type of spectroscopy, we combine the information from all these experiments into a single, much more powerful spectroscopic tool. 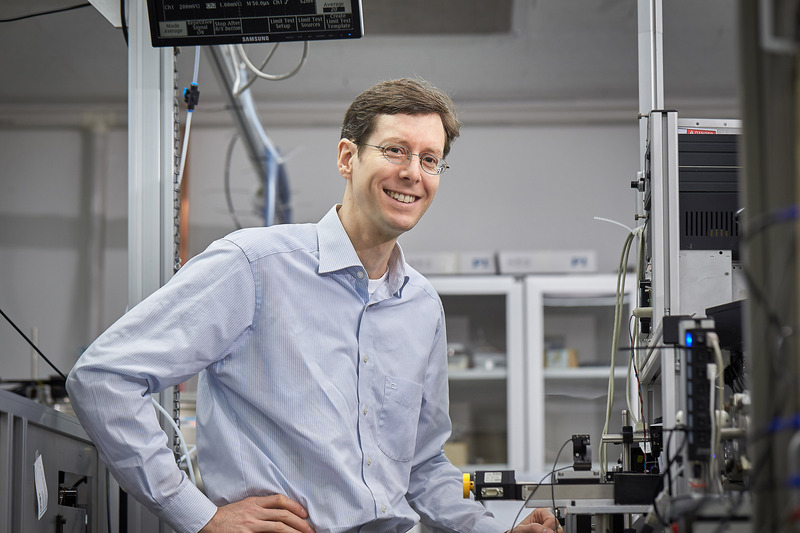 CRASY stands for Molecular Rotational Alignment SpectroscopY and is inspired by the Nobel-prize winning concept of COSY (COrrelated SpectroscopY) in the field of NMR. CRASY is a type of multidimensional spectroscopy. To understand the value of multidimensional data, consider information that would help you to find a hidden object. 1D information would tell you the distance to the object. A 2D map would give you the direction to the object. 3D data would tell you if the object is buried underground or flying overhead. Clearly, every extra dimension adds a large amount of information. The same is true for spectroscopic experiments, where many small bits of information add up to our full understanding about composition, structure, and transformations of matter. Femtosecond laser amplifier. Rotate the molecule and observe its change pattern. Q3. What is the principle of CRASY? To perform a CRASY experiment, we need at least two short laser pulses. A first laser pulse kicks all molecules into a coherent rotational motion. The term ‘coherent’ describes an abstract quantum mechanical wave property, but in this case the coherent wave can be easily visualized: all molecules begin to rotate at the same time and into the same direction. 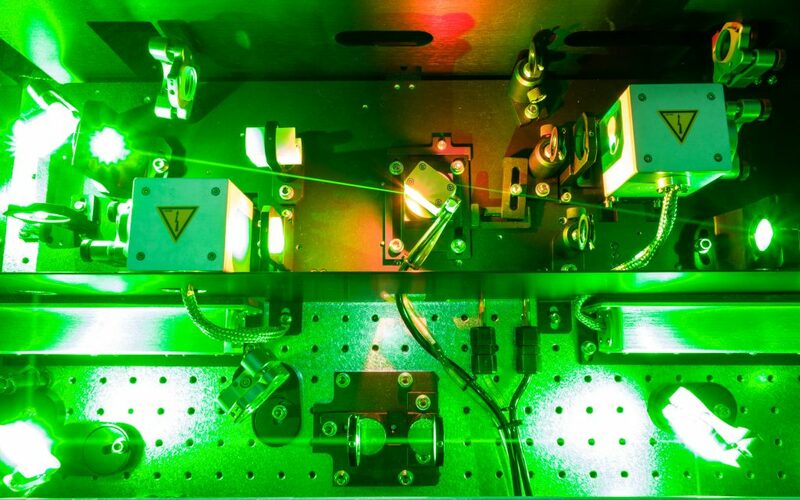 A second laser pulse excites and ionizes the electrons in the molecules. The excitation is only possible when the molecules turned into a certain direction (‘quantum mechanical wave interference’) and the excitation therefore observes the rotation of the molecules. Because the ionization rips an electron out of the molecule, we can now analyze the mass of the charged molecule in a mass spectrometer and resolve information about the electronic structure by analyzing the emitted electron. The information about rotational structure, electronic structure, and molecular composition (mass) is now obtained in a single experiment. Q4. What is important for Molecular Science? Traditional spectroscopy works best for pure samples that contain only on molecular species. In this case, separate spectroscopic experiments can resolve the interesting molecular properties one after the other. Many molecular samples, however, are inherently impure. They contain different chemical species, identical species with different structures (isomers), and identical isomers that contain different isotopes. CRASY can separate the signals for multiple species in such an impure sample and therefore allows to analyze samples that were not accessible by traditional spectroscopy. We can learn about molecules that were ignored in the past, because we now have a tool for observing them. Illustration of aligned disulfide carbon molecules. 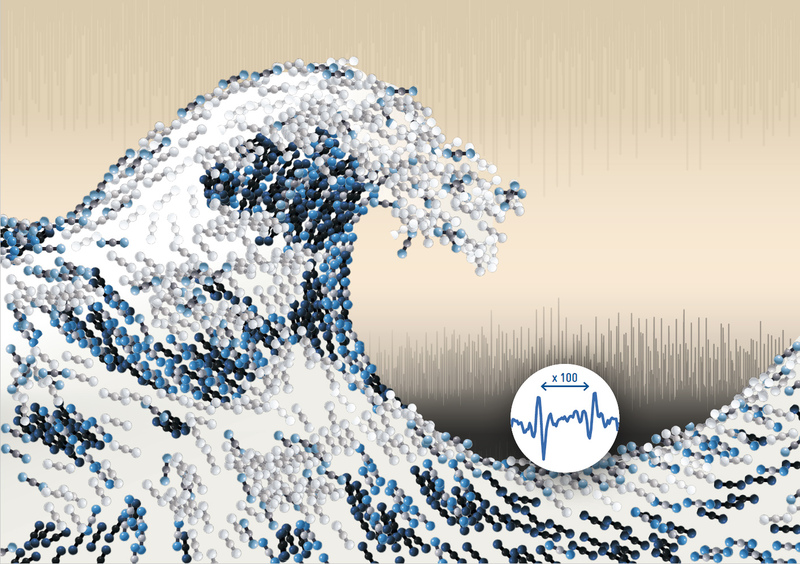 CRASY will be a revolutionary tool that will cause a big wave in molecular science. Q5. What is the meaning of this research and further application of this research? 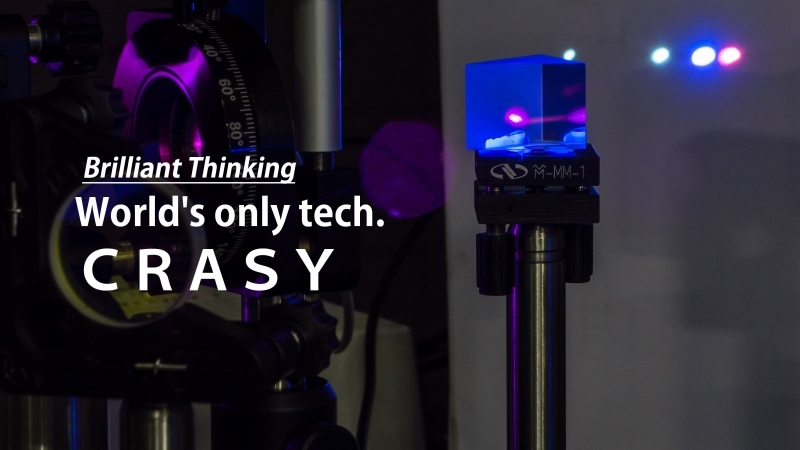 We hope that at some point in the future, CRASY experiments can be performed with commercial devices and will be part of the routine analytic methods in molecular science labs. However, we only developed CRASY over the last few years and we are currently the only group, worldwide, performing CRASY experiments. Our lastest publication showed that we can obtain world-leading spectra in terms of resolution and accuracy, but every single experiment still requires a large amount of effort. Before our method can be commercialized, we have to further develop it and demonstrate its usefulness to a wider community. We work on several topics, where CRASY can address longstanding questions in molecular science. One topic is spectroscopy of reactive species (e.g., radicals) that may be found in interstellar clouds. Because these molecules are instable on earth, we cannot isolate them and we therefore have very little spectroscopic data for such species. CRASY will allow to measure spectra for these species and may help to interpret a large number of spectroscopic lines that were observed by astrophysical telescopes. Another topic is the analysis of molecular isotopologues. These molecules differ only by isotopic composition and their synthesis is extraordinarily expensive. Nevertheless, isotopologue-selective measurements are considered the gold standard for assigning chemical reaction mechanisms. 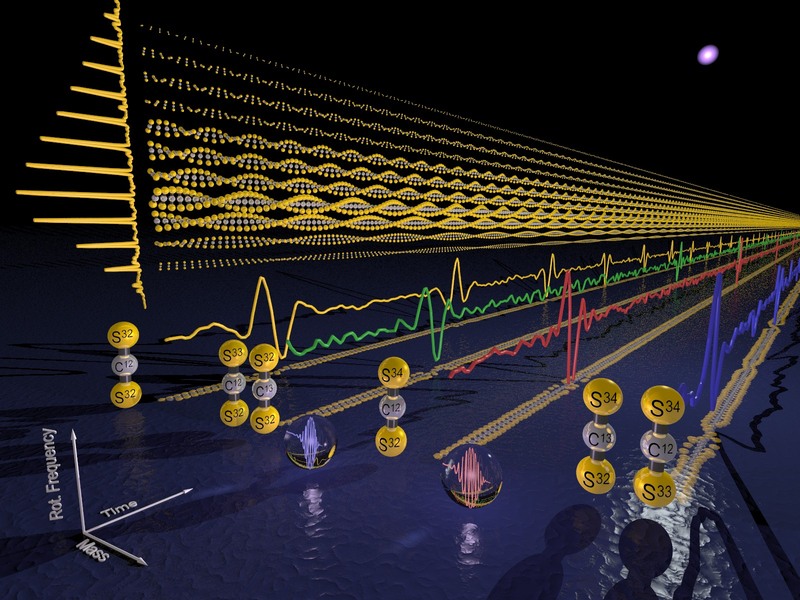 CRASY can resolve the spectra for multiple isotopologue in a sample with natural isotope composition and offers an inexpensive method for the routine analysis of isotopologues. Finally, we hope to resolve photochemical reaction mechanisms in biomolecules. Such molecules often come in multiple isomeric forms that cannot be isolated. CRASY will be able to clearly resolve the connection between molecular structure and reactivity and may help to undestand biochemical reaction mechanisms.